Musicanywhere AD0503 Bluetooth In Ear Monitors With AptX Now Available At Lazada PH, Priced At Just 2268 Pesos! Home / earphones / musicanywhere / news / Musicanywhere AD0503 Bluetooth In Ear Monitors With AptX Now Available At Lazada PH, Priced At Just 2268 Pesos! Following its entry in the Philippines announcement yesterday, Musicanywhere, the newest premium yet affordable audio brand in the country has listed their first product at Lazada Philippines. 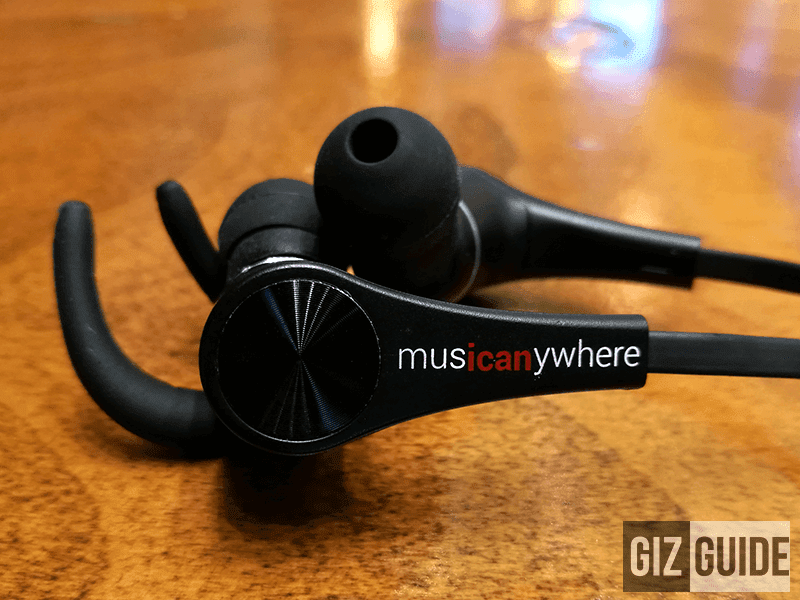 Related: Musicanywhere AD503 Review - Affordable Bluetooth Earphones Never Sounded This Good! Dubbed as the Musicanywhere AD0503, it is a wireless in ear monitor that's designed for those who have an active or on the go lifestyle. It features a great build quality, comfortable rubberized earhooks / tips, and a nice type of adjustable and tangle free flat cable. Related: Musicanywhere Premium Sounding Yet Affordable Bluetooth Headphones Now In The Philippines! Powering this set is a 6 mm micro dynamic driver inside that's finely tuned to deliver a full clean sound on a budget. To have great wireless audio quality, Musicanywhere ensured that it has great connectivity. The AD503 is one the rare Bluetooth 4.1 powered wireless in ear monitor that capitalizes on aptX technology to ensure a close to CD like audio playing performance. It also promises up to 10 meters of uninterrupted distance, 5 hours of battery life, stand-by time of 350 hours, and IPX4 sweat / dust resistance. The Musicanywhere AD0503 high-performance Bluetooth earphones has an SRP of 2.5K, but you can get it cheaper at Lazada for 2,268 Pesos.